15 Pin Serial Male to 4 Pin Model. Converter a SATA Power Supply 15 Pin to a standard Molex 4 Pin Connector. Power Supplies usually have lots of Serial ATA 15 Pin Connectors. 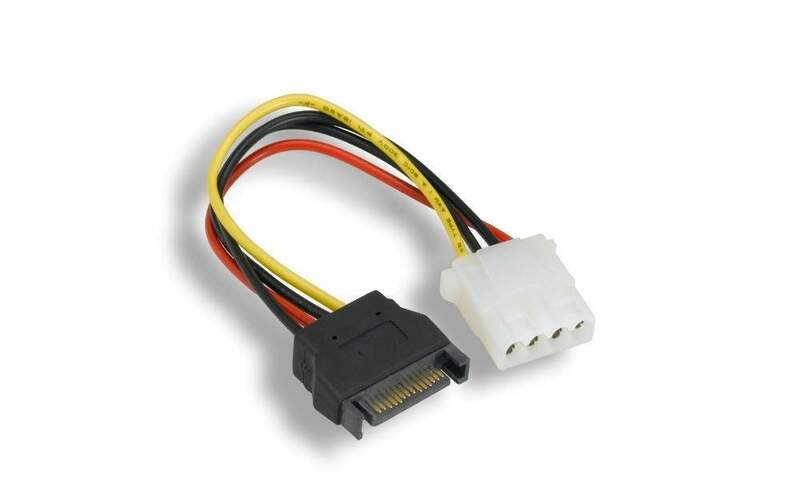 This converts them over to Standard 4 Pin Molex Connectors for older Style Drives.